I have a confession to make. I LOVE olives! 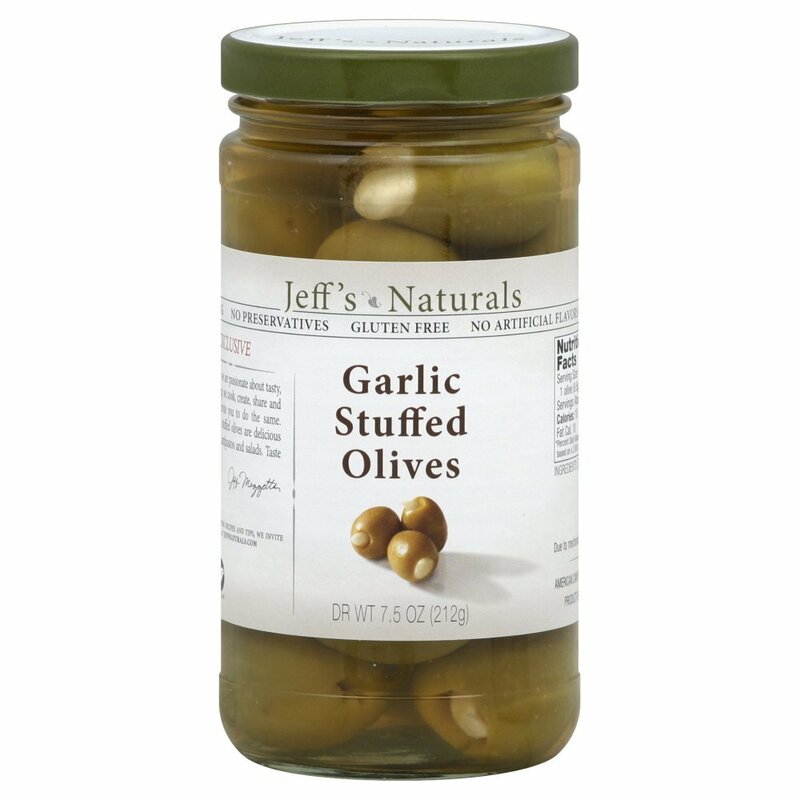 I love them in all shapes, colors and sizes, stuffed with anything that comes in a jar or from an olive bar. Both Emma and Sophia love olives…they are totally my girls! I’ve been on a kick lately with these garlic stuffed olives (you can add them to pasta), and it finally dawned on me to make egg and olive salad. I grew up in an Italian family, and anytime we visited my dad’s parents in New York, or they came down to Texas for a month, we ate GOOD! Raise your hand or say a silent ‘oh yeah!’ if you grew up with an amazing grandmother who could cook. I sure do miss her cooking, but I know she may not understand our way of eating (paleo) and might ‘push’ me to eat something that makes me not feel the best. My grandma Jean made so many yummy recipes, though, that it’s my mission to convert the ones I can to Paleo while still honoring her. I had forgotten about this recipe and was ecstatic when I thought to put these ingredients together. I had some boiled eggs in the fridge and had some garlic stuffed olives still left in the jar and decided to whip up a quick lunch for myself and Emma. If you love olives (unlike my hubby) and eggs (and don’t have an allergy), go whip this up right away. You’ll be pleasantly surprised at how easy this recipe is to make AND how tasty it is with just a few ingredients. You could serve this on lettuce, with sliced veggies, or put it between two slices of (paleo) bread. Make a batch as big or as little as you like. I’m thinking I could bring this to my next potluck lunch. 1. Dice your boiled eggs based on how much you want to make (I used 3) and add them to a bowl. 2. Dice the olives of your choice (I used 3, too) and add to the eggs. 3. Add as much mayo as you prefer to the eggs and olives. Some people like a little mayo and some like a lot-so it all depends on your taste. 4. 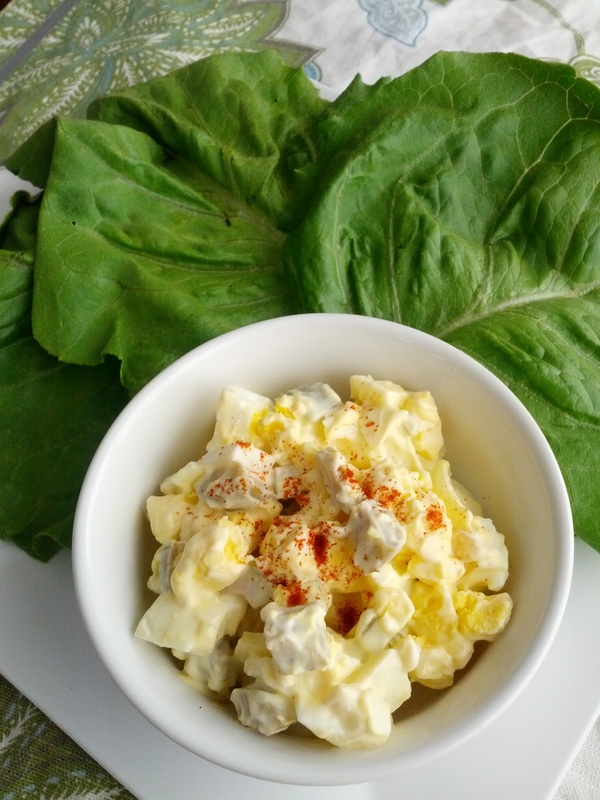 Mix all ingredients together and serve on lettuce boats, veggies, or toast. Garnish with paprika. Are you addicted to olives like we are? What’s your favorite kind? Emma has started grabbing them off the shelf now, without me asking, and putting them in her Emma-sized shopping cart. Josh won’t claim either girl since they both have an affinity for olives, but it’s been fun teaching them to eat yummy foods early on.